« Victoria Day Weekend in Bethany Ontario! The Me to We Leadership Centre “is a space for social change and personal growth in a peaceful, yet focused setting.” Me to We is part of a network of organizations including Free the Children and We Day. The shared goal is to empower a new generation of young people to shift the world from ‘Me’ to ‘We’. 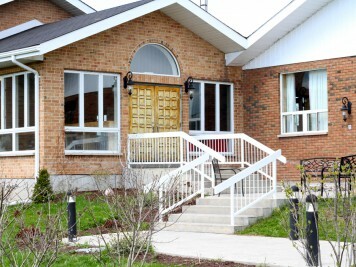 The Leadership Centre provides a unique environment, creating a space for the Me to We philosophy to flourish. The Ontario Me to We Leadership Centre prides itself on being “a facility focused on a better world,” and aims to achieve this through nurturing an environment of youth empowerment, activism, and social change. And the Ontario Centre is in Bethany! The location’s property features everything from beautiful open green scenery to large conference rooms and smaller more intimate breakout rooms. The Centre provides the perfect space for groups to engage in focused conversations, lecture-style presentations, and outdoor team-building activities. The Bethany Me to We facility offers three options: rent the facility for your own retreat or conference; work with staff to create a fully customized leadership training program to meet your groups specific needs; or participate in a youth focused Free the Children Group Weekend. Highlights of Bethany’s Me to We offerings include local and organic meals and catering, social justice themed residences, inspirational common spaces complete with photos and motivational quotes, meeting rooms with different country themes, socially conscious Me to We merchandise including books, jewellery and clothing, and peaceful green space including trails and recreation facilities. 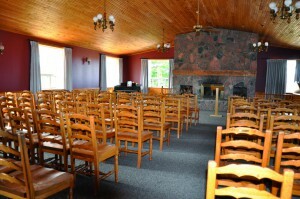 Bethany’s Me to We Leadership Centre includes accommodation for up to 100 individuals (minimum group size of 15 individuals), 8 rooms suited to discussions and smaller group sessions, expansive outdoor activity areas, fully equipped kitchen and dining hall facilities, and experienced facilitators available to lead customized leadership sessions. The Centre is located on Bethany Hills Road, a little over an hour from Toronto.